Over the past year I’ve had the pleasure of discovering new K-pop artists and rediscovering artists and groups I’d previously never been interested in. One such group is BTS, a hip-hop/R&B septet lead by former underground rapper (albeit for a very short time) Kim Nam-joon, known more prevalently by his stage name, Rap Monster. The group just didn’t appeal to me, their brand of “hip-hop” being of the sort that makes me roll my eyes rather than want to get hype. However, their latest, The Most Beautiful Moment in Life pt. 1, managed to change a few of the perceptions I had about the group, namely that they were more of the same K-pop idol group attempting to give the industry some edge by doing a copy/paste of the most “popular” rappers from the States. The album opens with member Suga releasing an impassioned lament about struggling to reach one’s goals despite the doubt and hatred from everyone around him trying to bring him down. Intro: The Most Beautiful Moment in Life is one of those tracks you hear and are instantly entranced by. The beat propels the narrative—the metaphor of a kid playing basketball. We hear the constant pound of the ball on the court, our narrator’s sneakers squeaking on the blacktop. When he finally reaches up to make a basket, we’re taken through his self-doubt, his reservation that he’ll actually make his goal. We’re constantly anticipating the moment when the ball finally drops. Meanwhile Suga’s voice continues to escalate, the air pushing out of him and bringing the track to its climax, the tension mounting. Suga finally takes a breath and reveals he is happy with his life, despite the struggle, despite the condescension of everyone around him. This level of emotional intensity pervades the entire album, giving listeners a peek at their musical maturity and fans something they’re not necessarily accustomed to. Though there are moments of the typical K-pop sprinkled toward the middle of the album (Fun Boys, Converse High), the album never loses its emotional core. Whether those emotions be laden with melancholy (I Need U, Outro: Love Is Not Over) or great introspection (Move), there’s an overall sincerity felt in each track. It’s precisely this type of genuine intensity and unironic enthusiasm that has suddenly endeared the group to me, taking me from an apathetic passerby to a bona fide fan. With the energy of each rapper and vocalist in the group, we have the superb production of the album and the beautiful composition of each track, a combination that makes for one of the most impressive albums to come out of K-pop in 2015. All credit goes to the group’s PR. Quite frankly it was Suga’s teaser that actually made me consider reevaluating my assessment of the group. I’m glad I did, because the music on this album was most certainly a gift and a blessing. You can listen to the album on Xiami. 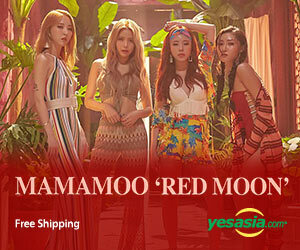 You can order the album on iTunes, YesAsia, and Synnara.